Today’s innovative bakeware ranges make light work of kitchen tasks. Non-stick silicon and a host of other clever baking gadgets allow you to create the cakes, desserts and dishes you want – no matter how simple or ambitious. Whether it’s for everyday baking, special occasions, baking in a more health-conscious way or for serious culinary gourmets, modern bakeware innovations make baking easy. Our baking range, including leading brands like Kitchen Craft bakeware, includes all the essentials to get you started – like baking trays, cake tins, loaf tins, and precision scales – as well as ingenious gadgets like icing pens, cookie stamps and cupcake plungers. Try silicon bakeware for cake moulds, trays and more that are cool to the touch, easy to wash, dishwasher safe, and completely non-stick. 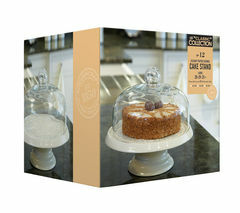 Spring-form non-stick cake tins with removable bases make it easy to remove beautifully shaped cakes after baking too. 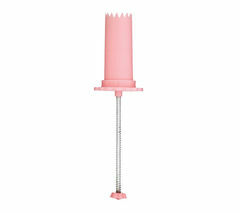 And dishwasher safe icing syringes come with a range of easy-clean nozzle shapes so you can get creative in the kitchen. For perfect baking every day, the right bakeware tools are the icing on the cake. And you can get even craftier in the kitchen with our exciting cookware range too.